As North Korea grows increasingly bold by threatening US territories and flying missiles over Japan, the US has broken out for the first time its most advanced fighter, the F-35. 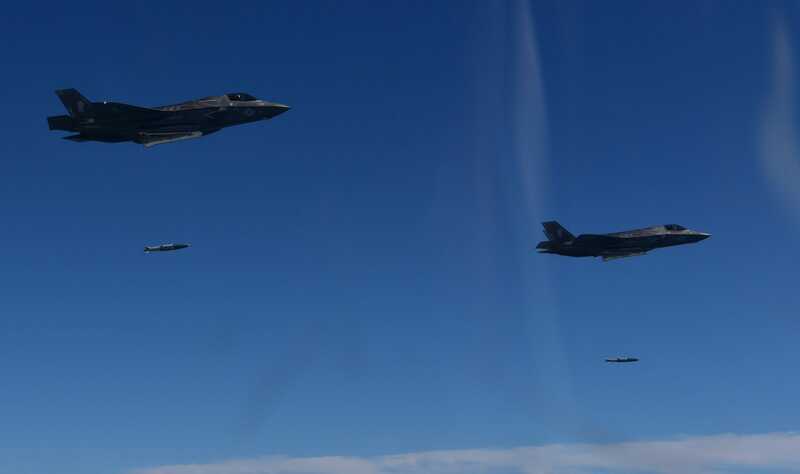 In a trilateral show of force with South Korean and Japanese fighter jets, the US responded to North Korea’s recent provocations with its usual flight of B-1 strategic bombers, but this time it added US Marine Corps F-35Bs. 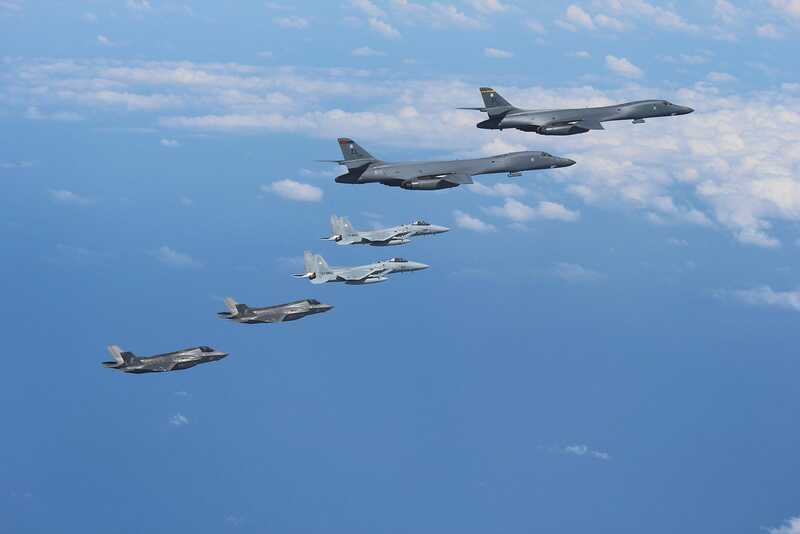 The US frequently flies the high-endurance, high-capacity B-1 with Japan’s and South Korea’s fighter jets nearby, but the addition of the F-35 sends a message: While North Korea’s military capability is growing, so is the US’s. The F-35B in the hands of US Marine aviators has excellent stealth characteristics that mean North Korea wouldn’t even know if the planes were overhead. Furthermore, the jets can take off almost vertically and land on a dime, making them perfect for quick surprise strikes. With advanced radars and sensors, F-35s can alert legacy jets used by Japan and South Korea to threats on the ground and in the air, potentially increasing their efficacy against already overmatched North Korean forces. South Korea will soon get F-35As, the Air Force’s version of the jet meant to take off from runways, and Japan will load its fearsome Izumo-class aircraft carriers with F-35Bs. 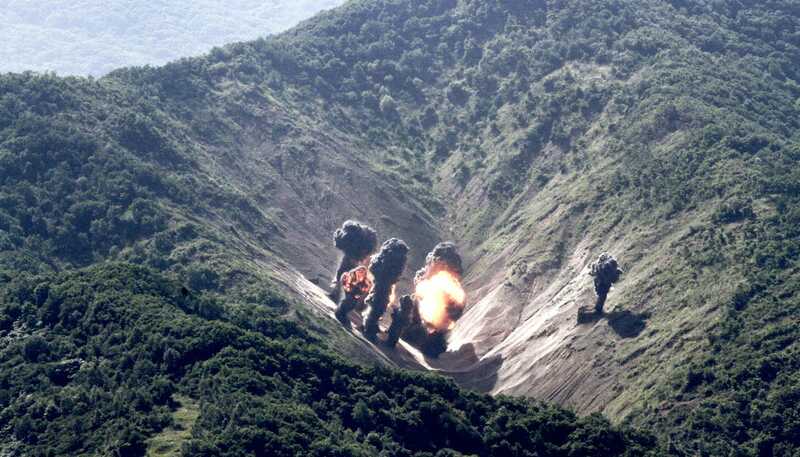 And while North Korea’s nuclear threat grows, the US is preparing a new block of software that will enable the F-35 to carry tactical nuclear weapons, matching the secrecy and potency of any offensive capability North Korea could dream of. The US built the F-35 to penetrate the most heavily guarded airspaces on earth and to fool the most advanced anti-aircraft systems for decades to come. But the F-35, built to counter superpowers like China and Russia, could handily overpower anything North Korea could throw at it. North Korea won’t stop its military provocations toward its neighbors and the US’s allies, but with the horrifying possibility that F-35s are lurking overhead, don’t expect North Korea to kill anything more than fish with its missile forces. Previous postSailing Ships: Ship of the Future?